If you read this site regularly and/or follow me on Twitter, you will know that I'm a passionate fan of all of the Boston sports teams. We New Englanders are extremely passionate about our teams and are rabidly faithful to them whether they're at the top of their respective leagues or whether they're in the basement. From birth, I've followed the Red Sox, Celtics, Patriots, and Bruins through thick and thin and I plan to continue doing so until I'm dead. My wife and I have shared this passion for our teams throughout our whole relationships and our children are now carrying on the tradition as well, which is really fun to see! The impetus for writing about all of this is that, for the 8th time in franchise history, our football team, the New England Patriots, are in the Super Bowl again, playing for their 4th championship. 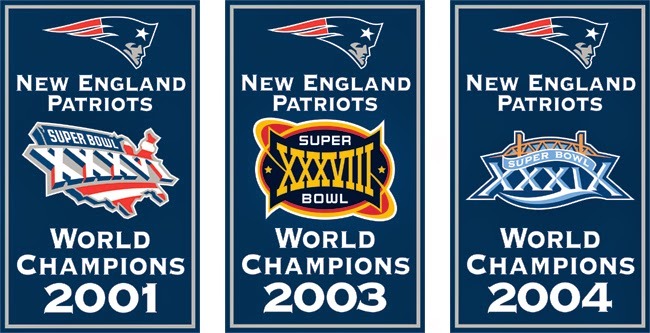 The Boston teams have had an unprecedented run of success since 2000, with our teams appearing in a staggering THIRTEEN championship games/series (6 Super Bowls for the Patriots, 3 World Series for the Red Sox, 2 NBA Finals for the Celtics, and 2 Stanley Cup Finals for the Bruins), winning a whopping EIGHT of them (3 for the Patriots, 3 for the Red Sox, 1 each for the Celtics and Bruins). *** While all four franchises had a history of tradition and success prior to 2000 (apart from maybe the Patriots, who only started being successful in the early 1990s when the Krafts purchased the team, they drafted Drew Bledsoe, and they hired Bill Parcells as coach), we had gone a long time without a title (1986 Celtics) until the Patriots kicked off this run in 2001. I've written about all of this before, so I won't repeat myself any more than that, but I do want to spend the rest of this post focusing on the Patriots and their dynastic run of success. 8. Super Bowl XLIX in 2014, which is where we are now. The game is on Sunday, February 1st, and pits the Pats against the Seattle Seahawks in a battle of #1 seeds from the AFC and NFC. Seattle are the defending champs and looking to be the first team to win back-to-back titles since the Pats did so in '03/'04. The Pats are looking to finally win their 4th title and cement themselves as the greatest team of the last 20 years. Seattle coach Pete Carroll coached the Patriots immediately before Bill Belichick , and current Patriot Brandon Browner was on last season's Seattle title team. It should be a great match-up...especially if the Patriots win! WE'RE ON TO SEATTLE AND THE SUPER BOWL! (*** I always try to avoid playing the shoulda/woulda/coulda game, but there are a few titles in there we absolutely should have won and didn't. I'm not including heartbreakers like the Red Sox losing in game 7 of both the 2003 and 2008 ALCS or the Bruins losing in game 6 of the 2013 Stanley Cup Finals...the teams they lost to were equally as good and it all came down to one or two small plays here and there. The ones I still have a problem with are the Celtics losing to the Lakers in game 7 of the 2010 NBA Finals, when some horrible officiating and the Celtics' inability to grab just one more freaking rebound saw them blow a big lead in the final few minutes to our hated rival. And the two Patriots Super Bowl losses to the Giants...in both cases, the Pats were the superior team who had no answer for the Giants' defensive pressure up front. But what still galls is that there are two plays the Patriots should have made that would have iced each win (Asante Samuel's interception-through-the-hands in 2007, Wes Welker's 3rd down drop in 2011) and two fluke plays by the Giants that would never happen 99 other times out of 100 (David Tyree's helmet catch in 2007, Mario Manningham's sideline catch in 2011). Add in the fact that Eli Manning literally closed his eyes, threw the ball up, and prayed on both of those plays, and the questionable officiating in both games (Giants' offensive line holding on that last drive in 2007, officials adding time back to the clock on Giants final drive in 2011), and those are two losses Patriots fans will never fully get over. 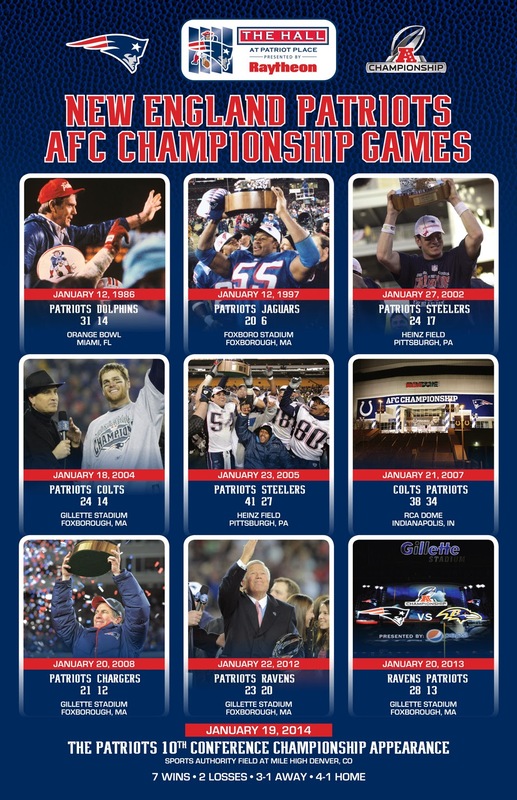 The last one is the 2006 season, where the Patriots blew a large lead to the Colts in the AFC Championship game. Peyton Manning was absolutely horrible that postseason, throwing more interceptions than touchdowns...if not for his defense, which played horribly all season but decided to play great in that game, the Patriots would have gone on to defeat the Bears in the Super Bowl. That season's Bears team was one of the worst teams to ever make a Super Bowl. Manning and the Colts beat them easily playing a horrible game...there's no doubt Brady and the Patriots would have won it by even more. Ah well...such is sport). It is my honor and privilege to bring to you this interview I recently conducted with Steve Boone, founding member, bass player, and co-songwriter with the legendary 1960s band The Lovin' Spoonful. Steve was gracious enough to answer a bunch of questions I had for him after I read and reviewed his excellent memoir, Hotter Than a Match Head. I hope you'll enjoy this conversation as much as I did! As a bit of background from the man himself, Steve was born into the U.S. Marine Corps at Camp Lejeune, N.C. just as WWII was turning in the Allies' favor in the Pacific. His dad’s life in the hotel business took him from the Pocono Mountains of eastern Pennsylvania to the Atlantic coasts of Florida and Long Island, N.Y.. 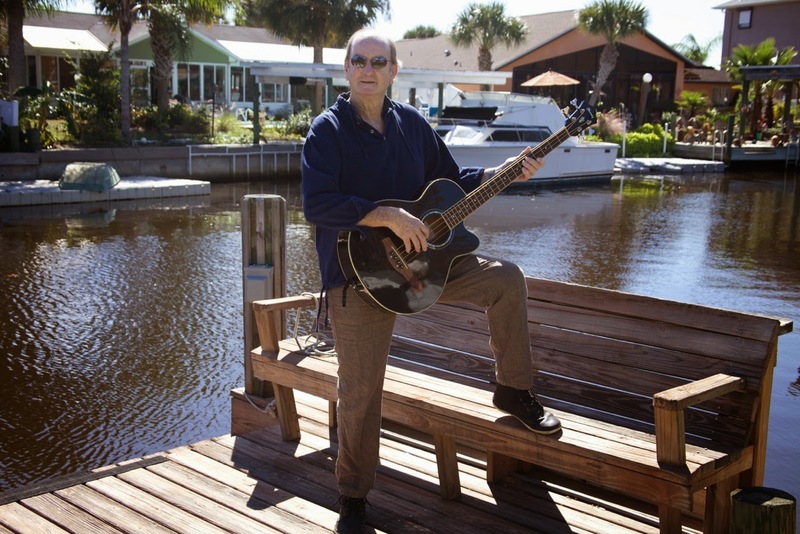 Sailing and sports with a future in the Marine Corps was abruptly ended by a terrible auto crash in 1960, but the fortunate gift of a guitar from his mom while recovering led to a chance meeting with two similar travelers on life’s highway and the Lovin’ Spoonful was born. Three intense years and ten top 20 hits later became all the life of a rock and roller he needed. Buying a 56’ sailboat in the US Virgin Islands was his getaway and a return to what he hoped would be a sanity of sorts that the music business has nearly driven out of him. Life on the high seas had its ups and downs and Steve sailed on to fantastic adventure and excitement that met, if not exceeded, the level of his life as a rock star. When the allure of the rock world proved stronger than his sailing life, Steve moved to Baltimore, MD and began the Blue Sea Recording Studios where such artists as Lowell George and Little Feat recorded Feats Don’t Fail Me Now, and where Robert Palmer and Emmy Lou Harris, to name a few, came calling. All of this happened while Baltimore’s Inner Harbor grew up around him. 40 some -odd years after the Lovin’ Spoonful’s demise, a fortuitous meeting with Tony Moss led to the writing of this book, which Steve feels finally tells all about what caused the Spoonful’s career to abruptly end and details Steve’s journey back to a life more easily managed and maintained! RNRChemist: Steve, thanks so much for taking the time to talk to me! It's a real treat. Let's start at the beginning...what was your upbringing and childhood like? What are your earliest memories of music? SB: I had a fairly typical upbringing. My father worked in the hotel business after WWII for his father who was general manager of a large resort hotel in the Pocono Mountains of Pennsylvania. Prior to my birth and my father’s joining the Marine Corps, he worked directly for President Franklin D. Roosevelt at the Summer White House in Warm Springs, GA.
My earliest memories are fond ones of living in the Pocono Mountains and having as my playground the resorts infrastructure as well as learning to hunt and fish and pursue my interest in the US Marine Corps, which I hoped to someday be a member of. In 1954 after my younger brother Charlie was severely burned in a kitchen accident the family moved to St. Augustine, Florida, the nation’s oldest city, where I really became the person I am today with outdoor activities such as sailing and water skiing and two newspaper routes. In the summer of 1958 I moved to East Hampton, NY where I also became interested in cars and bars and music while recovering from a serious auto accident after which I found out I was no longer eligible for military service….the Lovin’ Spoonful soon follows. RNRChemist: As you mentioned, you had grown up wanting to follow in your father's footsteps and had your mind set on a military career until you were injured in a car accident in the early 1960s. Knowing what we now do regarding Vietnam, the explosion in rock music, and how everything played out in the 1960s and beyond, does that accident seem to be the pivotal moment in your early life? SB: Without doubt the accident was the most pivotal moment in my life until May 26, 1966 when a decision I would make would forever change my life; to this day it's the decision that if I could go back and do again, I would have made it differently. RNRChemist: I was a little unclear how exactly you first met John and Zal...you mention some of your friends in NYC telling you about those two guys, but how did that first meeting actually come about? SB: In December 1964 I was in New York City picking up my motorcycle that I had shipped back from Europe where I had spent the previous 3 months riding around. Once in New York my brother Skip and band mate Joe Butler suggested I go and meet John Sebastian and Zal Yanovsky at a music club in Greenwich Village. There they proposed that we start a band and get a record deal and so the story begins of the Lovin’ Spoonful. RNRChemist: Once you started playing with those guys and brought Joe in, how fast did you click, musically? SB: We clicked immediately. Joe and I had played together in a band out on Long Island for 3 years prior to this and we were already synced up as musicians. John and Zally were likewise easy to gel with and we had a winning sound almost immediately. RNRChemist: Can you give us a little bit of a description as to what the Greenwich Village folk scene was like in the early to mid 1960s? SB: Well, hindsight always come with great clarity but the reality is that Kama Sutra was probably the most able to place our music on AM radio as that was their specialty. They had connections within the AM radio community. The major labels were only concerned with following the crowd and if you didn’t have a British accent in 1965, they probably would not have signed us. The downside is that when it came time to pay us our share of the royalties, they always were able to wiggle out of doing that. That's something the bigger labels like Elektra or Columbia or Warner Bros. would not have been able to do. So….the answer is with the big labels we would have been paid but they most likely would not have signed us….Kama Sutra did sign us, they just didn’t pay! RNRChemist: You played on a Dylan session, hung out with the Beatles, had hit records...what are some of your fondest memories of those days in the 1960s? SB: I have many fond memories of those days…I had a wonderful and beautiful girlfriend, an Austin Healy sports car, I lived in one of the hippest places in America right next to New York City and came of age during one of the most creative periods in American culture. I managed to stay gainfully employed and by playing in one of the top bands on Eastern Long Island I was able to do what I wanted to do. Playing with Bob Dylan, while it was a very rare and memorable experience, was really just another in a chain of fantastic adventures that I went on during that time frame. RNRChemist: While John Sebastian was the dominant writer in the Lovin' Spoonful, not many people know you co-wrote some of the bands biggest hits, including "Summer in the City" and "You Didn't Have to Be So Nice." How did those songs come to be written? SB: I would always noodle around on a piano whenever I was near one and the two songs that you mention were populated by my contributions. In “Nice’s” case it consisted of meeting a wonderful friend of Zally’s from Toronto, Nurit Wilde, and being impressed enough to write down my impressions. I tied it to a melody that I was playing constantly on piano which John and I would then hammered out the rest of the lyrics to. 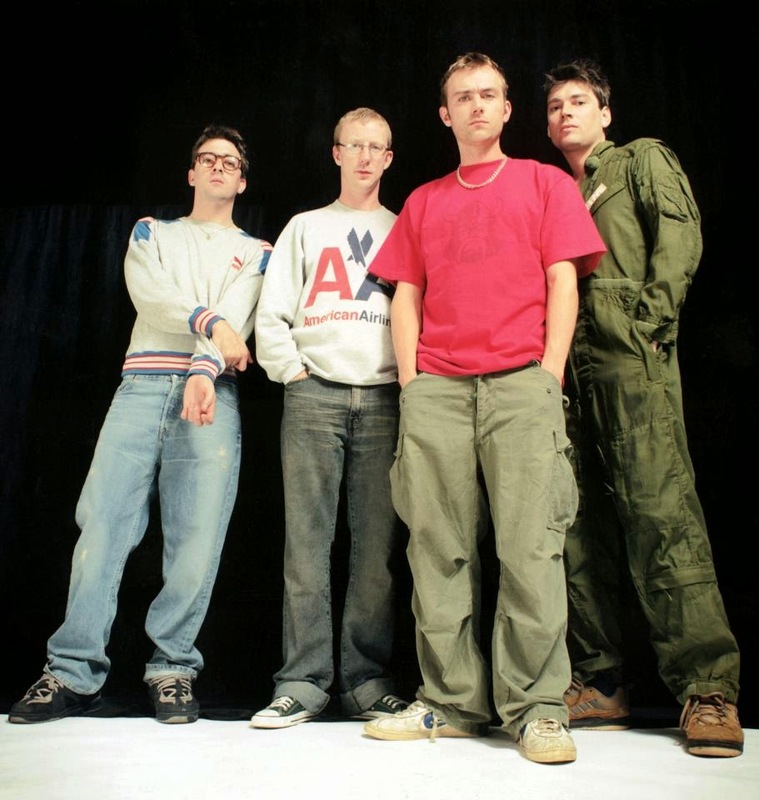 "Summer in the City" was a nearly completed song that John’s brother Mark brought in and during the recording of it we needed a middle 8 or instrumental section. Another musical theme that I was always playing on the piano fit perfectly into the recoding and so I became a co-writer on that song as well. RNRChemist: What did it feel like when the band's first 7 singles all went into the top 10? (Including #1 for "Summer in the City"). You must've felt on top of the world! RNRChemist: A well executed segue to my next question! Regarding that date, in May 1966, you are quite candid with the bust you and Zal had in May 1966 and the subsequent fall out amongst your peers in the rock music scene. Do you think that was the contributing factor that led to the Spoonful's breakup? SB: Without a doubt in my mind, my recollection of the bust is that it began a slow but noticeable decline in the creative confidence that surrounds one who is in the middle of great success, and for me there was no exception. Once that feeling of inevitability starts to fad,e the projection of great confidence also begins to fade and the difference is noticeable to many if not all around them. In less than a year from May 1966, Zally would be fired from the band and I would lose all interest in writing new songs. Although Jerry Yester’s (who replaced Zally) presence in the band was a positive one, the fire that had kindled our great success seemed to have been reduced to a spark that barely could keep the fire alive, and just a few months later the band suspended touring, bringing to a close what could have been described as America’s premier band. RNRChemist: When Zal left the band it seems as though all of the fun and the soul of the band went with him, even though the very capable (and good guy) Jerry Yester ably stepped into Zal's spot. Fair assessment or am I off base? SB: See above, but also know that without Jerry our last studio album may have never been completed. Everything Playing was the first rock album made on the then brand new Ampex MM1000 16-track recorder. The technology was too advanced for our then producer (Joe Wissert) who quit the project and Jerry had to step in and mix, as well as overdub, much of the final product. Jerry was not the onstage presence that Zalman was. Nobody was, and his absence did not go un-noticed. Jerry did bring to the band tremendous singing and vocal arranging skills that did make our live performance musically superior to what we had when Zally was onboard. RNRChemist: After the Spoonful split, was there more animosity between you guys than what you let on in the book? I have to say that apart from the occasional squabbles you describe, it seemed to be quite civil! SB: There really has never been a period of long term animosity between band members. Disagreements are a fact of life in a rock band and the Lovin’ Spoonful is no exception to that. The few times that we did reunite, such as for Paul Simon’s movie and the Rock and Roll Hall of Fame induction, were very pleasant affairs if we leave out the decision to try and perform "Do You Believe in Magic?" when we should have done "Night Owl Blues" instead. That performance forever put a stamp on the Spoonful that will never be overcome in my lifetime. Still, John was just caving in to the board of directors of the Hall, but he should have stood his ground. RNRChemist: Once the band split, you had a series of incredible adventures over the next couple of decades, including a spell as a drug smuggler between the Caribbean and the U.S. Did you feel guilty about breaking the law even though you believed marijuana should be legal? SB: I told the judge at my sentencing that I apologized for breaking the law. I believed then and now that if you don’t like a law, vote to change it. However the law had turned it’s back on an agreement that they had made with me and Zally to never reveal nor make public our arrest in San Francisco. Once I discovered that they had not kept their word, all bets were off as far as I was concerned. Yes, I do believe that marijuana should be legal and all non-violent pot convictions be vacated. History will not be kind to a world that has criminalized an intoxicating drug no more, or even actually much less dangerous, than tobacco or alcohol, and that otherwise good productive citizens are rotting in jails for simple possession of this weed. RNRChemist: Besides what you put in the book, what is the craziest/scariest thing that happened to you during that period? SB: I really put most of the scariest things in the book. While in recovery from my addiction and living in Fort Lauderdale, I agreed to single handily rebuild a friend’s house that had been gutted by fire. This was a huge undertaking and the man whose house it was was a notorious cheapskate. Although it doesn’t sound scary for me coming off a few years of addiction, without much confidence it stressed me out quite a bit. All was well that ended well, though, and I made some money while doing the hard physical work that is necessary during recovery. RNRChemist: I was really surprised to read about your endeavors as a studio owner and operator, especially your success with the first Little Feat albums. That was all new to me and new to most readers as well, I'm sure! How proud of that work are you when you think back to when you owned the studio? SB: How I came to be the owner of a recording studio had its genesis in the time I spent in St. Thomas. The local sailmaker there, Manfred, was also a ship salvager and had salvaged a large freighter off the reefs near Puerto Rico. He wanted to know if he could make a recording studio out of it. After considering this, I said that no, it would be impossible to get the necessary sound dampening for a high end studio but it planted a seed that when I arrived in Baltimore in 1973, one of the first places I went was to a recording studio in the suburbs that was for sale or lease. Of course, the whole story is in the book and once the studio became mine I called it Blue Seas, which was the name of the freighter Manfred had salvaged some years before. Once I discovered how state of the art this studio was, I discovered George Massenburg, who had built the studio and would help me when we moved it onto the houseboat in Baltimore’s Inner Harbor. I am very proud of it and the small role that Blue Seas played in the early days of Baltimore’s renaissance. RNRChemist: Despite all of your misgivings, it is clear from that book that you could never quit music and that it's too much a part of you to stop doing forever. What does music mean to you and why does it mean so much to you? SB: Well, there is a saying in drag racing that no matter what you might wish you had under the hood you “run what you brung,” which means to always be prepared to do whatever comes your way with what you have always counted on. Music is what I “brung.” I still love playing music before enthusiastic fans, and even just sitting down at the piano and playing whatever comes into my head is still manna for my ears. If I were just starting out and trying to make a career out of music, I would think that in addition to musical skills you also need to be fluent in the knowledge of digital information processing. At the end of the day, though, it still should be that what you get out of your “job” comes straight from the heart. 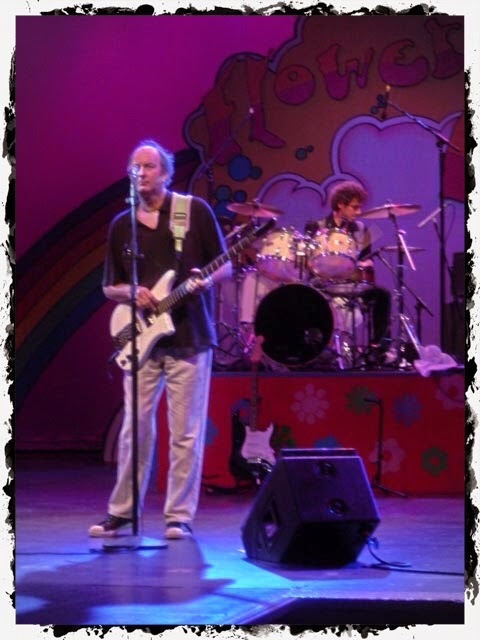 RNRChemist: In retrospect, do you wish the Spoonful had properly gotten back together beyond the 1980 film you performed in and the Rock and Roll Hall of Fame induction ceremony? SB: I have said to all who would listen that it is a shame that all 5 of the members of the original band did not get together every 3 or 4 years and cut an album and do a tour just to keep the music alive. Whenever I get the chance to go up to John’s house and spend a few days playing music, the old magic comes right back without even trying. Zally is gone now so really, that changes the equation but yes, it is a shame that when we could have we never did what nearly every other one of our peers did. RNRChemist: What are your thoughts on that performance (at the Rock and Roll Hall of Fame) and what was wrong with John's voice? I was discussing it on an Internet message board recently and a lot of people who had never seen it before couldn't believe what had happened to John's voice. You clearly don't look too pleased after the songs when I watched the video on YouTube! SB: I mentioned earlier how I wanted to not do one or two of the hits for our induction as it was apparent to all that John’s voice was not up to par, and instead wanted to do "Night Owl Blues" which was a blues jam from our first album, and the set-ending song from our Night Owl (Greenwich Village nightclub - RNRChemist) days of 1965. With John on mouth harp and rhythm guitar and Zally on lead it would have brought the house down. I don’t to this day know why John wanted to push on with the vocal problems he had, but that would be for him to answer. Yes, I was very displeased with our performance. There we were in front of all of our peers and it sucked. I did not even go out to the after parties because in addition to that, I was also pissed that they would not let Jerry Yester up there to be inducted despite all that he had done for the band, and there I am with his daughter (and my future wife) at the induction ceremony. RNRChemist: What does it mean to you now in 2015 to be able to play with the Spoonful guys again and to play that music to old and new fans alike? SB: As I have said before, it means a lot to still be able to get out there and play our music for the fans we still have (and with the newly retiring baby boomers, that is a lot of fans). Since it is not possible for the original band to be together again, I am still energized to watch the fans react in the positive ways that they do. RNRChemist: One of the things you really focus on in the book is how you (rightfully, I might add!) believe the Spoonful don't get the respect and recognition they deserve as one of the great American 1960s rock bands. Why do you think this is? SB: If you look at the landscape of journalism in 1965-1967 you will see that rock music had to share the entertainment pages with the movies and plays as well as music from other eras. The only magazines at the time of the band’s beginnings were fan mags like “Teen Magazine” and “Tiger Beat.” It was not until 1967 that Rolling Stone began publication, which along with CrawDaddy and Spin Magazine would go on to speak exclusively for the rock and roll world. Unfortunately, the news of the Lovin’ Spoonful’s bust would end up appearing on the front page of Rolling Stone’s 2nd edition and that, along with the coverage of the bust in the counter-culture periodicals like Berkley Barb and the LA Free Press created an atmosphere where the Lovin’ Spoonful were finks who had sold out the movement and made deals with the police. Unfortunately, our record company and management did nothing to try and head off this bad press and as a result, 20 years later when the lists were being devised and written about the great bands of the 1960’s, the Lovin’ Spoonful were made out to be less than worthy of inclusion and in some cases not even mentioned. RNRChemist: What is your favorite Spoonful single? Album? SB: Favorite single: “Summer in the City,” for obvious reasons. Favorite album: “Hums of the Lovin’ Spoonful,” which of the first three was the only one we actually spent some quality time on. RNRChemist: What was your gear of choice in the 1960s in terms of favorite bass guitar and amp? How about these days? SB: Guild made a custom Starfire ll bass for me with supposedly custom electrics in it but I never liked it until 35 years later. In the pre-induction to the Rock and Roll Hall of Fame John had a friend of his, Eddy Deihl, rebuild it to wonderful tone and ease of playing. My favorite bass would have been two: my first bass was an ice-box white Fender Precision from 1963, I believe, that I got when I traded in a Gold Top Les Paul Guild guitar for $75. In early 1967 I bought, from a fan on the road, a 1962 Fender Dual Concentric Knob Jazz Bass that was then stolen from me in 1987. As for amps, it was not until the Acoustic 360 and 370 amps came out in the early 1970s that there was a production bass amp suitable for big concert use. In the 1960s we used whatever they would give us for amps; for me it was a Standel Twin Speaker, then a Magnavox 4x12 speaker. The best rig I ever had was in 1975: I built a rig with two Acoustic 370 heads and one Acoustic 370 18” bottom and 2 ElectraVoice Eliminators, with custom construction and JBL speakers. RNRChemist: What are your best memories of the Lovin' Spoonful in the 1960s? What about Zal? It's obvious you and he had a strong friendship and that you regarded him as a unique talent. SB: These questions are in depth questions that I will take some time to answer...for today I will say that Zally was one of the most interesting musicians I have ever known. He was a stylist on the guitar and produced sounds that few others at the time could reproduce, His stage presence was without question completely uninhibited and wonderful. I am forever grateful to have had the opportunity to have performed with him. John, as I have said to others, may be the most underrated rhythm guitarist in popular music. Back in the early days of rock, rhythm guitar was where the beginner went but it soon became apparent that rhythm guitar was, along with the bass guitar and bass drum, the most important instrument in a rock band, especially in the recording studio. John Sebastian is the best rhythm guitarist I have ever heard. He did not have so much personality on stage but that was part of his success as well. Joe Butler, the oldest of the Spoonful, was also the most experienced as a player and singer. 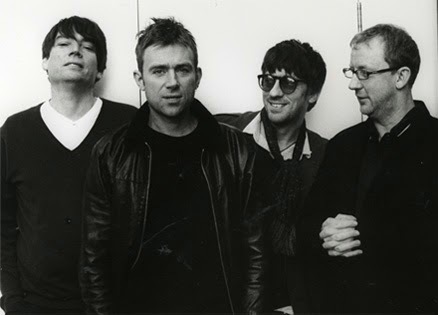 He may have had the best pure voice in the band...John thought so. He also was very charismatic on stage and always a favorite with the girls. RNRChemist: Worst part of being in the Spoonful in the 1960s? SB: Without a doubt the bust and its fall out, as we discussed earlier and what's in my book. RNRChemist: As a huge Beatles fan, I have to ask: what were they like to hang out with? Have you met up with any of them over the years? SB: Without a doubt, John, George and Paul were as nice and pleasant as one could hope they could be. In our several encounters they treated us with the respect given to peers and even said the same when asked about us in the press. Ringo did not make much effort to hang out or fraternize. I think the only time I saw him was just before they were to perform at Shea Stadium and he may have wanted to be alone which is understandable. RNRChemist: What was the craziest situation you ever found yourself in with your rabid fans during the 1960s? SB: There were several instances, but none were too serious. At our first big concert at the Rose Bowl in the summer of 1965 we were the lowest billed act out of 9 acts and as such did not get much security. As we were driving out in an open convertible from the stadium, the car slowed to move some of the fans out of the way but they managed to reach in and grab John’s T-shirt. They pulled on it and as we tried to drive on, the shirt became twisted around John’s neck and nearly choked him unconscious. Fortunately we were able to release the girl’s grip on the shirt and drive on, but John was forever changed and did not like interacting with fans that close again. 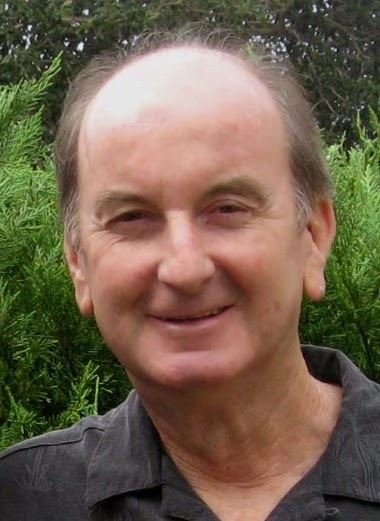 RNRChemist: Even though I was too young to have experienced the music of the 1960s firsthand (I'm 34), I am a great fan and student of it via my parents (who grew up during the 1960s) as well as my sheer love of it. As someone who not only lived through it but contributed to it, what are your thoughts on its legacy? SB: The 1960s began with folk music gaining in popularity and growing from largely protest music to general entertainment and popularity. Pop music was changing, too, as more and more bands and singing groups were writing their own music and in some cases, like the Lovin’ Spoonful and the Beatles, not only writing the music but playing it in the recording studio as well. Couple that with the rapid advances in technology and recording studio equipment that, by 1967/68, gave multitrack studios that enabled multiple overdubs. As the decade drew to a close, the live performances were becoming nearly as sonically perfect as the recordings...by the 1970s, live music entered into a stratosphere that made concerts something we could barely have envisioned when the Spoonful began in 1965. I think the legacy of that era will be that this was the time when pop music went from being a teenage thing to a form of lifelong entertainment that folks could take with them throughout their life and their children's lives. RNRChemist: What are your thoughts on popular music these days? SB: I am saddened when I hear people today saying there is no longer any good music being made. “It all sounds the same” or “rap is not music,” “it's all autotune and computers.” It seems like no one wants to have to search out the music they like. We have all become spoiled to the demands of instant gratification and if it is not there immediately, it just is not there at all. There is a lot of great music being made. I do agree that a lot of the music is not to my taste and much of the creation IS being done by computers and electronic gimmickry, but neither was the great music we made in the 1960s pleasing to our parents and that story will go on for ever. RNRChemist: Besides playing gigs with the new Lovin' Spoonful, what else are you up to these days? SB: I just bought our house this past summer so there are always home improvement tasks at hand. I also bought a 26’ fly bridge cruiser motor boat to enable my picture taking ventures, which I hope to turn into my next project. And of course I am always thinking of ways to make more folks aware of my book. I think for the fans of music and culture out there my story is an amazing one and people just need to know that it is out there. RNRChemist: You mentioned in the book that you could fill pages and pages with more stories of your sailing adventures and life experiences since the Spoonful broke up. Do you have any plans to write more books? SB: As I mentioned in the last answer, I am planning on a book that will feature a picture or photo art and accompany that with short stories about the picture's subject, or perhaps not related stories. I also am always working on new songs...I more or less stopped working on new music when the book project began, but now I have all of my gear set back up again and have begun to work again on music projects. RNRChemist: Steve, thank you so much for taking the time to talk with me! And for all of my readers, I not only highly recommend Steve's book, but urge you to listen to the Lovin' Spoonful if you haven't already. Some of the best American pop and rock of the 1960s, and Steve was right in the middle of it. Thanks again, Steve! Here I am, back again to tackle the age-old question (well, the burning question of the past 15 years if you're a chemist, at least): to PhD or not to PhD? In the first part, I wrote about the pros and cons of getting a PhD in the sciences, using chemistry in particular because that is my field. My conclusion/opinion was that it was solely dependant on the individual to decide, but that you should go into graduate school knowing that your job prospects are grim (for the reasons discussed previously). But just how bad is the job market for new PhD scientists? That is the subject of Part 2. Just how bad is the job market? The chemistry job market had already been slowing down considerably when I finished my postdoc in 2008 and got my first job. About a month after I started working, the housing bubble burst and with it, the economy, which had already been teetering for a while, absolutely cratered. Along with everything else, it deeply affected the job market, not just for scientists but for everyone. However, the science job market, which had already been sliding for several years due to a variety of factors (shipping of jobs over to Asia, stagnant/declining salaries, oppressive federal regulations, etc) was hit particularly hard by the economic downturn. While I was lucky to find employment, many of my former classmates and colleagues from graduate school and my postdoc weren't as lucky. They, along with others whom I would speak to at technical conferences and meetings during those years told me how they were using their postdocs not only as part of their training, but as a way of maintaining some semblance of steady employment while they looked for full-time positions that just weren't out there. Many of them stayed at their postdocs for longer than the usual 2-3 years, many of them were forced to leave earlier than they'd intended due to funding running out, and several jumped to additional postdocs. Unfortunately, these are all patterns that have become more and more common within the field. However, the consequences of this are quite negative, as postdoc salaries are only a step above the stipend one makes as a graduate student. Additionally, there are typically not health benefits associated (at least there weren't when I was a postdoc..maybe that's changed now? Please update me on this if you know differently). It forces many people to delay marriage, starting a family, buying a house, and settling down until they have a steady job, which can oftentimes last well into one's 30s. I elaborated on this in Part 1 so I won't rehash it here, but suffice to say it is still a grim time to be looking for a job in chemistry, especially for new graduates looking to make their first entrance into the workforce. 1) Companies are much less willing to train someone who can't hit the ground running from day one. It used to be that if a company was hiring for a position and you fit ~70% of the criteria they were looking for, they would have no problem hiring you and training you to get you up to speed in order to perform the job. In many cases, you might not even have needed to fit the criteria that much...if you had skills they liked and a good work ethic (with good references), they would hire you and train you. Nowadays, because it's such a buyer's market, they're much less willing, it not willing at all, to do this. Because they don't have to...you need them much more than they need you. 3) ...It's such a buyer's market that companies are more than happy to sit back and take their time waiting for that one perfect candidate to fall into their lap. It's analogous to trawling a fishing line with no bait on the hook waiting for that one fish in the entire ocean to bite. This goes hand in hand with point #1 that I made above: because it's a buyer's marker and there are more people looking for jobs than there are open positions, companies don't have to fill them right away...they can wait until the person who fits their job description to a T applies. That's why you see such detailed and technical listings: rather than saying "we are looking for a synthetic chemist with experience in nitrogen-containing compounds," you'll see an ad that says "we are looking for a synthetic chemist who has experience preparing N-substituted hetereocycles that contain 5- to 7-membered rings that also happen to have ester groups in the 3-position and which are solids with melting points between 100 and 155 oC. Must have 7.5 years experience with these molecules." I may be exaggerating a bit, but not by much. Believe me, if you've ever seen the same job listed month after month (or in some cases, year after year), it's either because of point #2 above, or it's because of this. As you see, there is a lot of overlap between the three reasons I've listed above, but having had experienced all of that firsthand over the years, I am confident that what I've written is true. The takeaway message is that those doing the hiring are firmly in the driver's seat at the moment. It's the age-old example of supply and demand, and in the case of science PhDs, the supply far outweighs the demand. It had been trending this way over the last decade and this has been the status quo since 2008 and shows no signs of abating, especially with groups like the ACS and the federal government pushing for more STEM graduates to flood the market for jobs that simply aren't there right now. Of course there are exceptions to all of this, but based on personal experience and observations, this seems to be the norm by far. I've personally experienced how hard it can be to find a new position, and I've been in the fortunate position of looking for a new job while I had a job. There is an old saying that it's easier to find a job when you have a job; conversely, it's said that it's much harder to find one when you're unemployed. Fair or not, this is the truth and with so many PhD scientists of varying experience levels either trying to enter the workforce with no experience or numerous PhD scientists out of work and looking to re-enter it, it doesn't show any signs of changing. Obviously, it's hard for me to say that because the job market is bad that one shouldn't get a science PhD and try to get a job doing science, especially if that is what one's true passion is. However, the fact that the input/output ratio is not skewed in your favor during the best of times, and the fact that these are far from the best of times, makes it hard to say that it would be a good career path to head down for someone just starting out. Yes, things like this are cyclical and have a way of self-correcting, but not always, and the short-term prognosis is not good. Again, it's down to personal preference and I don't want to definitively say yes or no because it's not up to me to decide what is best for each individual...that's up to them to decide. I hope that I have at least given you food for thought, and I would welcome any discussions about your experiences in the science job market in the comments section below. Another year is in the books and we turn the calendar to a new month and a new year. I hope 2014 was good for all of you and your families and that you can look back on it with some modicum of fondness and without too many regrets. Personally, 2014 was a year of significant upheaval for me and my family but in the end everything worked out and we're in a really good space heading into 2015. I'm not big on New Year's resolutions because A) people never stick with them, and B) I am a big believer in living your resolutions every day and making them part of your life, not just part of your January. I'm just going to continue to do what I set out to do every year: be the best husband and father I can be, be the best chemist I can be and do as well at my job as possible, enjoy time with my family and friends, continue to take care of my health by maintaining my running and healthy habits, and continue to express myself creatively through my music and writing. Apart from that, I plan to enjoy the new year as much as possible and make it the best it can be! For you, my dear readers, I wish all of you a happy New Year and only hope that you celebrate it safely and responsibly. 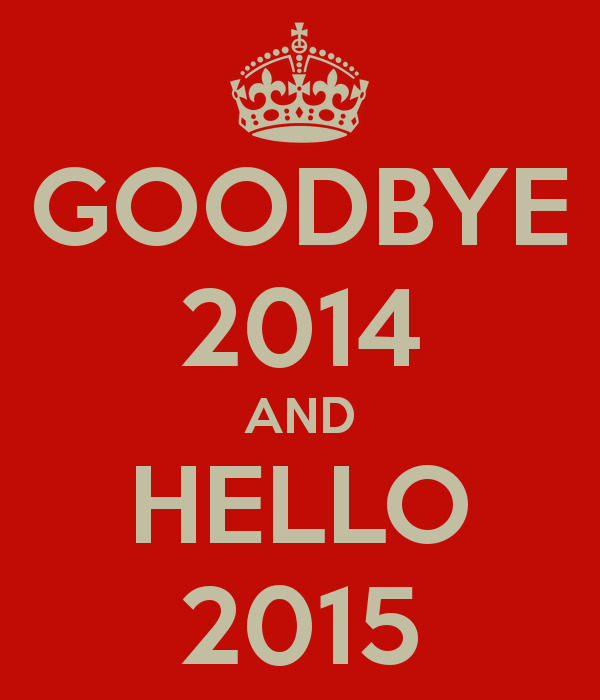 May your 2015 be even more blessed, successful, and filled with love and happiness than your 2014 was!